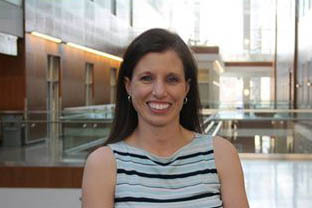 Dr. Charity Evans is an assistant professor of Pharmacy, teaching in the areas of evidence-based medicine, research methods, and contraception. She received her BSP and PhD in Pharmacy from the University of Saskatchewan and completed a postdoctoral fellowship at the University of British Columbia. She has recently taken on the role of director of the Continuing Professional Development for Pharmacists program and is a member of the Board of Directors of the Multiple Sclerosis Society of Canada, Saskatchewan division. K. Mansell, C. Evans, D. Tran, S. Sevany, 2016. The association between self-monitoring of blood glucose, hemoglobin A1c and testing patterns in community pharmacies: results of a pilot study. Canadian Pharmacists Journal: 149; 28-37. J. Stroeder, C. Evans, H. Mansell. 2015 Corticosteroid-induced bradycardia: Case report and review of the literature. Canadian Pharmacists Journal: 148; 235-240. T. Zhang, A. Shirani, Y Zhao, M. Karim, P. Gustafson, J. Petkau, C. Evans, E. Kingwell, M. van der Kop, F. Zhu, J. Oger, H. Tremlett. 2015. Beta-interferon exposure and onset of secondary progressive multiple sclerosis.European Journal of Neurology: 22; 990-1000. A. Shirani, Y. Zhao, J. Petkau, P. Gustafson, M. Karim, C. Evans, E. Kingwell, M. van der Kop, J. Oger, H. Tremlett. 2015. Multiple sclerosis in older adults: the clinical profile and impact of interferon beta treatment.BioMed Research International: volume 2015 (2015), Article ID 451912, 11 pages. C. Evans, F. Zhu, E. Kingwell, A. Shirani, M. van der Kop, J. Petkau, P. Gustafson, Y. Zhao, J., Oger, H. Tremlett. 2014. Association between beta-interferon exposure and hospital events in multiple sclerosis.Pharmacoepidemiology and Drug Safety: 23; 1213-1222. E. Kingwell, C Evans, F. Zhu, J. Oger, S. Hashimoto, H. Tremlett, 2014. Assessment of cancer risk with B-interferon treatment for multiple sclerosis. J Neurol Neurosurg Psychiatry: 85; 1096-1102. N. Makhani, S. Morrow, J. Fisk, C. Evans, S.G. Beland, S. Kulaga, E. Kingwell, J. Marriott, J., Dykeman, N. Jette, T. Pringsheim, C. Wolfson, R.A. Marrie, M. Koch, 2014. MS incidence and prevalence in Africa, Asia, Australia and New Zealand: a systematic review. Multiple Sclerosis and Related Disorders: 3; 48-60.